Happy 4th to all of my American friends! I have been sick this whole week, which is why I haven't been able to post as much as I wanted. I had so many ideas for recipes this year but things just didn't go the way I planned. I was feeling a lot better last night though so I put together a quick and easy (festive too!) 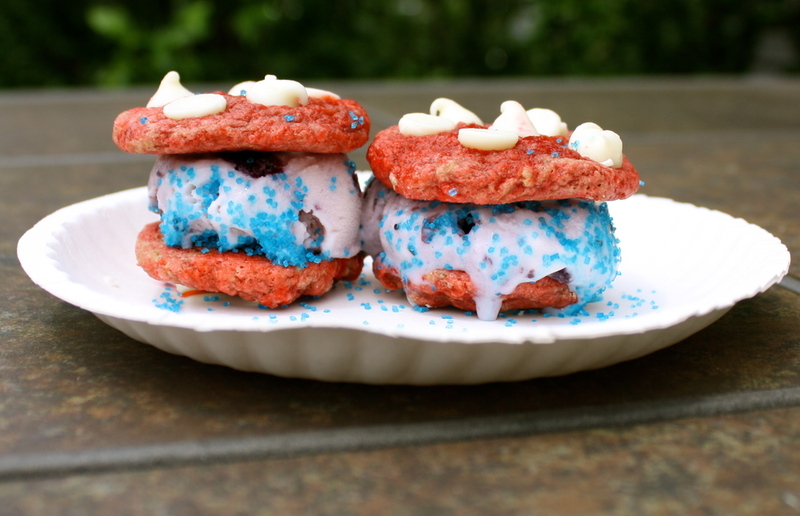 ice cream cookie sandwich. I had such a hard time photographing these because my froyo was melting faster than I could take a picture. But that's what makes things fun! I'm not going to provide you guys with a recipe for my own cookies today just because of this past weeks unexpected events, but I just used a chocolate chip cookie recipe. You can use your favorite one or one from Chocolate Covered Katie, or My Whole Food Life. Both of those will give you great recipes. Just remember to use white chocolate if you're going with the festive theme! Mix together your dough and add 1 teaspoon of beet juice or red food coloring. Bake your cookies and let cool completely. 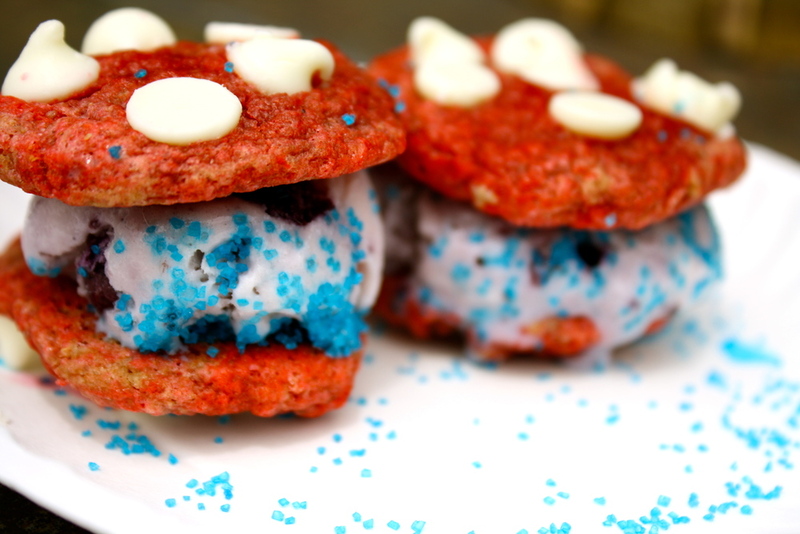 Once completely cooled pick your ice cream or frozen yogurt of choice and put a large spoonful in between your cookies and roll them in blue sprinkles. Freeze until ready to serve, especially if you're experiencing the hot weather like I am! Happy 4th to all of you! !